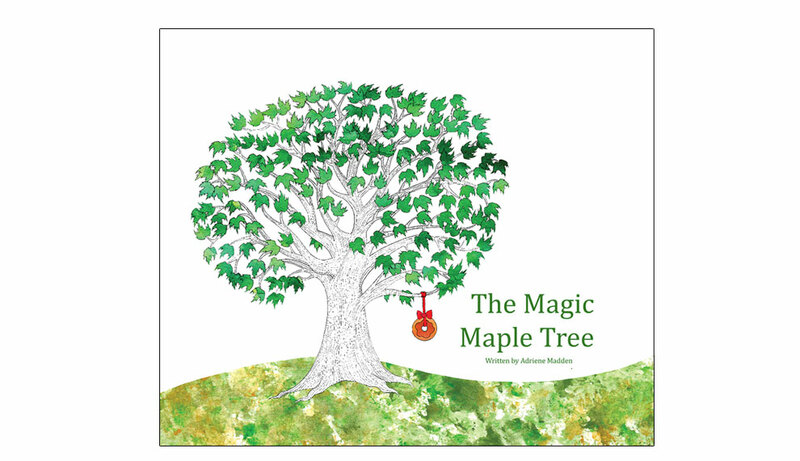 The Magic Maple Tree is a children’s picture book . Written in verse, and with large green text this story makes for a great read-aloud. Teachers and parents love the many learning opportunities that this book offers. Learning the days of the week, counting/adding, the seasons, and rhyme scheme, to name a few. Author Adriene Madden has created a fun educational school presentation, for both pre-schools as well as Elementary schools, that tie in with K-5th writing curriculum.” We share the creative writing process through our interactive storyboards, and its a fun day of learning!” For more information on school visits see our blog section. 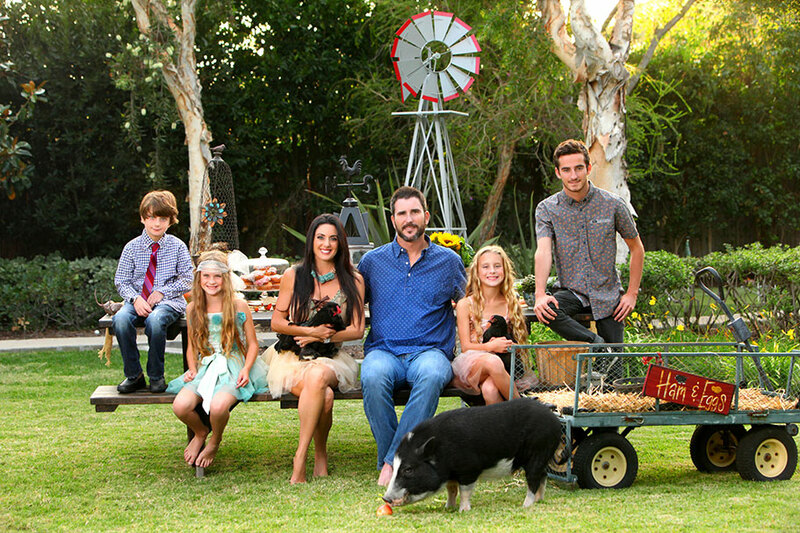 Adriene Madden lives in sunny California with her husband, four children, three chickens, one rooster and a locally famous pig named “Petunia Porkchops”. Adriene spends her days with her children where they write stories, draw, explore, and create together! She also, teaches a multi-sensory writing curriculum for children Pre-K -5th grade in her “little red schoolhouse”. 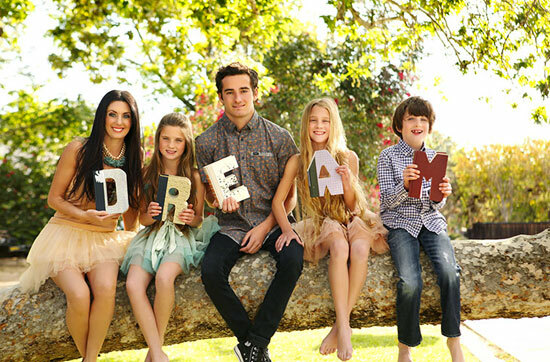 Adriene and her kids also enjoy growing Organic vegetables and baking. “I’m trying to create a wholesome authentic environment for my children, driven by their imaginations rather than battery powered toys! I want to offer them rich learning opportunities, and some of the same experiences that I had as a child on my Grandma’s small farm.” As a little child my parents were studying to be teachers. We moved to London, England so my father could attend and teach at the University of London. After traveling all over Europe and Canada, we moved back to the United States, and I grew up in California. Even though I have traveled to many places all over the world, my favorite destination is to my imagination! I love the beach, hamburgers, music, cooking, farm animals and Russian nesting dolls. I am completely obsessed with my children and my pet pig. A Book That Can Make a Difference! As parents we want to raise kids that care about helping others. “I love seeing kids helping other kids.” My kids are participating in a ‘Read to Feed’ program, and the money they raise goes to helping end childhood hunger. In that vein we wanted to donate a portion of the proceeds from the sale of each book to charities that help children and help end childhood hunger. Thank you for buying this book and making a difference ! Click here to learn about Adventures in the School House!